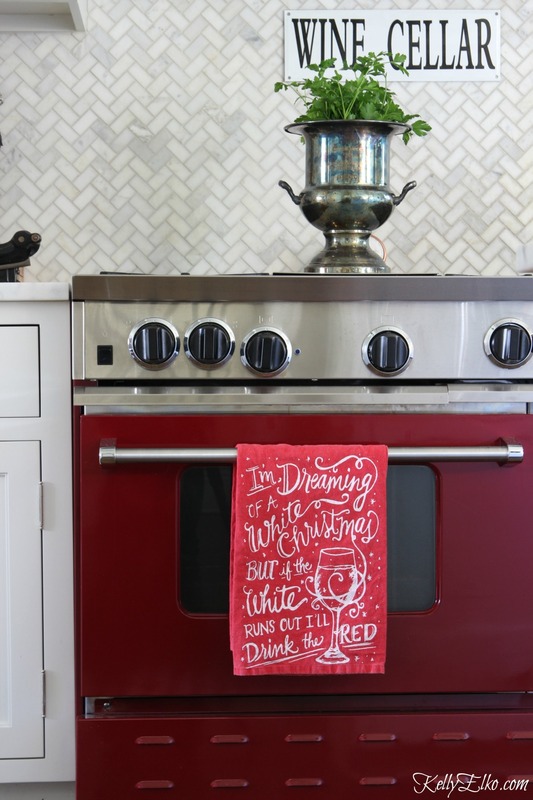 Less than 8 weeks til Santa squeezes down our chimneys and I want to get all the shopping out of the way so I can enjoy the important things in life … like wine! 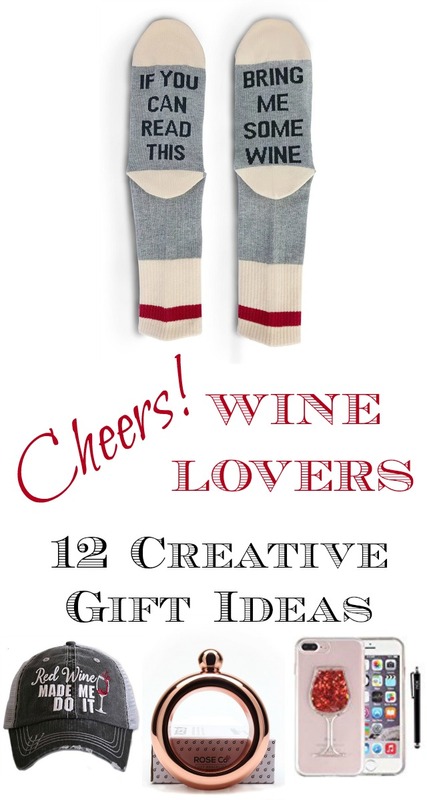 Two years ago I shared my favorite Wine Lover Gift Ideas HERE (don’t miss it) and I’m back with more creative (and all new) gifts for the wine lover in your life. 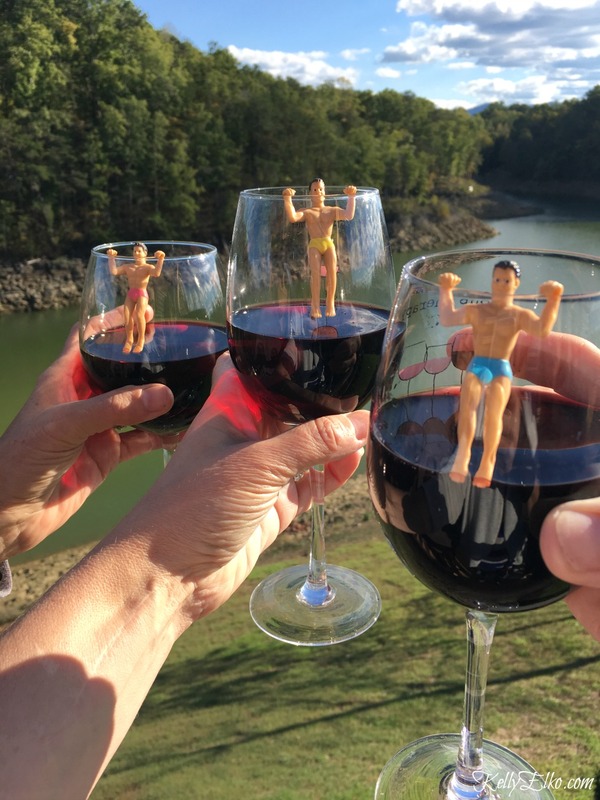 I bought the Drinking Buddies Drink Markers to give to my friends on a recent girls trip to Tennessee and they were a huge hit! Meet Josh, Ryan, Cody, Brad, Chad and Mitch – each has their name on their backsides! I am definitely getting the Wine Socks for my hubby and I think the Bath Drink Holder would be fun paired with some bath salts and a bottle of wine.